Megaupload Judge Calls U.S. "The Enemy"
The judge presiding over Kim Dotcom's case in New Zealand says the United States is "the enemy." The copyright infringement case against Megaupload founder Kit Dotcom has seen more than its fair share of twists and turns, as what appeared at first as a fait accompli has turned into a serious struggle for the United States government. New Zealand judges have since ruled that the raid on Dotcom's home was illegal and ordered the U.S. to turn over evidence to his defense team, something it had previously refused to do. An extradition hearing scheduled for August was recently pushed back into 2013 to give Dotcom's lawyers adequate time to prepare his defense. And now it turns out that one judge on the case has an interest in the future of his country's intellectual property laws that goes way beyond just this one particular matter. Judge David Harvey, who ordered the disclosure of evidence to Megaupload lawyers in May, told a recent meeting of the "A Fair Deal" coalition that the Trans-Pacific Partnership free trade pact currently being negotiated by New Zealand, the U.S., Australia and other Pacific Rim nations would have a very real effect on the everyday lives of New Zealanders. The U.S. is pushing hard for New Zealand's intellectual property laws to be changed to conform with its own, something A Fair Deal opposes. 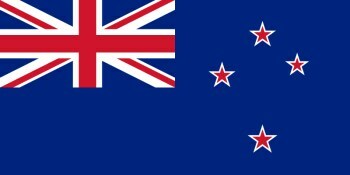 As a specific example, Harvey said that if the New Zealand government caves to U.S. demands, region-free DVD players which are currently legal in the country would be made illegal. "Under TPP and the American Digital Millennium copyright provisions you will not be able to do that, that will be prohibited... if you do you will be a criminal - that's what will happen," Harvey told his audience. "If I could use [journalist] Russell [Brown's] tweet from earlier on: we have met the enemy and he is [the] U.S."
It's not too difficult to see a bit of potentially troubling bias in the statement but Bill Hodge, a professor of law at Auckland University, said that while the comment may appear "unhelpful," it isn't necessarily inappropriate. "It was part of a quasi-academic conference discussing developing areas of law," he said. "I think judges should be free to make comments, as long as it doesn't appear to show any predetermination with respect to the specific case in the court before them." Along with his duties as a District Court Judge, Harvey is also a members of the advisory board of NetHui, a three-day conference dealing with "internet issues" in New Zealand, serves as a consultant editor for Butterworths Electronic Business and Technology Law and is a member of the Editorial Board for Butterworths Technology Law Forum. He is also a part-time lecturer at the University of Auckland, where he teaches "Law and Information Technology."